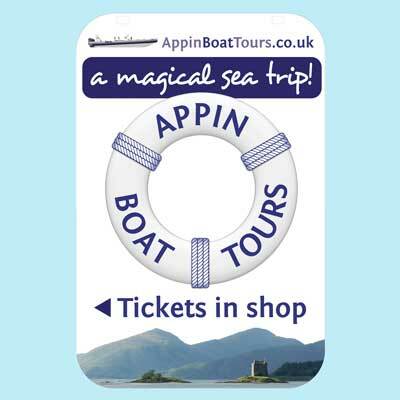 Appin Boat Tours is a small business providing short open boat tours in the idyllic waters of the Lynn of Lorn. As a startup, time and cost are both at a premium. 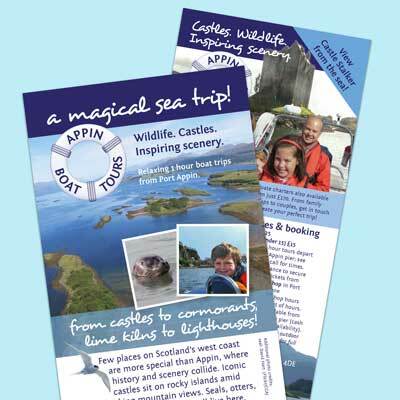 We provided Appin Boat Tours with a complete package of branding and logo development, website, printed leaflet and signage to get them going. 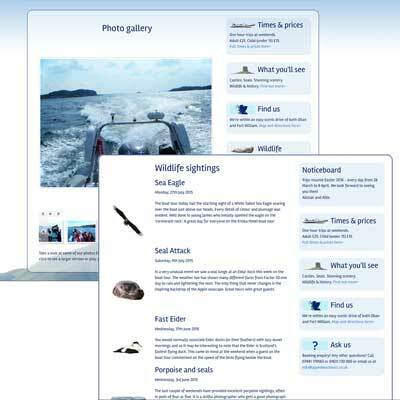 Appin Boat Tours website is built in a content management system which allows them to easily update their wildlife diary during the season. 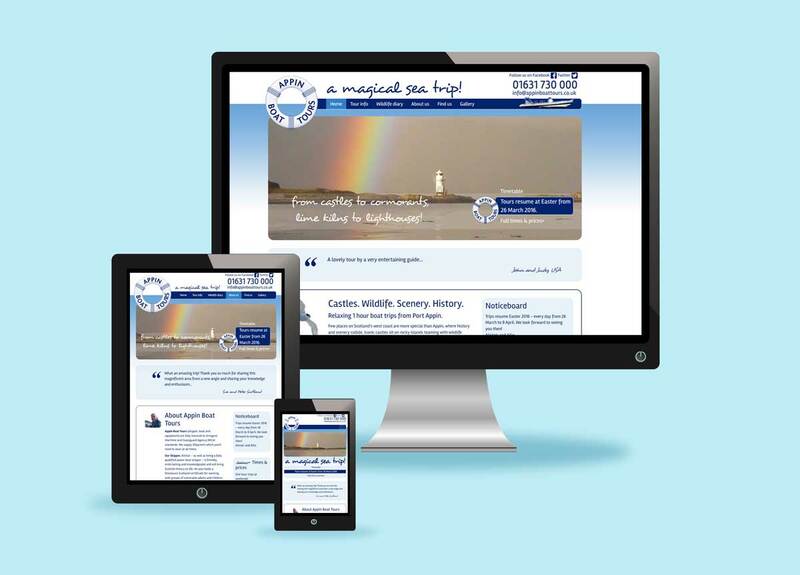 Sometimes the weather means a change to times at short notice, so there is a custom noticeboard function to easily add this to the site. 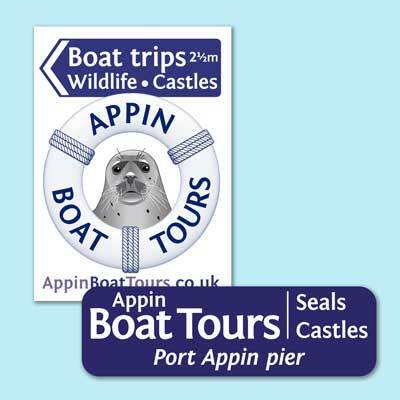 We developed the Appin Boat Tours logo and brand from some sketches they had worked up. As well as a leaflet, we've also produced pavement swing signs, a corex pierhead sign and PVC banners .